Sweet dreams. Photo: Alex Messenger. Coke has started to sponsor pro climbers. Should the climbing community embrace support from big drinks brands or fight back against their sugary fingers? Hazel Findlay takes a look at this sticky issue. People will tell you that everything comes at a price, even the best job in the world. Since I have the best job in the world, I can tell you that they’re correct. I’ve tried to picture a better profession – the Queen, artist, celebrity, wine taster – and, in my mind, none of them trump being a pro climber. But then I remind myself that it’s still a job and, in essence, paying a price is the whole point of that. You sacrifice your time and energy – and potentially a bit more – and get numbers on your bank statement in return. Right now a climber called Ashima Shiraishi is starting to pay that price. Ashima is a very strong climber – one of the strongest young climbers of all time – and she’s just signed a sponsorship deal with Coca Cola. This unleashed a tidal wave of negative energy from (mostly) health conscious, socially responsible, big-corporation-sceptical and very opinionated climbers. Most were nice enough not to point them directly at Ashima herself (she’s only 16 and seems so damn nice) but directly at Coke. Personally, I found the news of Ashima’s deal unsettling, but I was still surprised by this burst of hostility. After all, Coca Cola is on a par with other drinks such as Red Bull, and the climbing community has never really spoken out against our many Red Bull sponsored athletes. Does this make any sense, or have we found ourselves in a cognitive trap, thinking that something could be wrong but we’re not quite sure what – or who – is the problem? I wanted to explore our response, the nature of athlete endorsements (specifically that of sugary beverages) and, most of all, the underlying question: should we even care? But before we get a conversation started, we should endeavour to make some initial assumptions. And, since this is my article, I’ll make them for you: processed sugar is bad for you. We used to think fatty foods made us ill and overweight, however recent studies have found a causal chain leading back to sugar. “We now have hard and fast data that sugar is toxic irrespective of its calories and irrespective of weight,” states American paediatric endocrinologist Dr Robert Lustig. Sugar – 11 times more potent in causing diabetes than the same number of calories in other forms – is a major culprit in the rising obesity epidemic. Weight gain and diabetes aside, the long-term effects of guzzling sugar are worrying. Too much sugar stresses the kidneys, the gut, your immune system, your emotional state and your brain. If you’re still unconvinced, try giving up processed sugar for a month, drink a can of Coke and let me know how you feel. There are nine teaspoons of sugar in a 300ml can of Coke, 17% of the USA drink at least one sugary soda can per day, two-thirds of Americans are overweight or obese and the health cost for treating weight-related illness is $170 billion a year. Back in the UK, with 28% of Britons obese – costing the NHS £5.1 billion a year – we can assume that sugary drink products aren’t doing us much good either. And we haven’t even mentioned the question of where all the plastic bottles go; 3,000 coke bottles are sold per second worldwide. That’s over 100 billion throwaway bottles per year, that may, or may not, be recycled. I’m sure it won’t come as a shock that big brands are not being altruistic when they pay athletes like Ashima to endorse products. Step outside the climbing community and you can clearly see the power behind such endorsements: Tiger Woods still earns $50 million in endorsements per year and Christiano Ronaldo rakes in £260,000 per tweet! These brands aren’t doing it for fun – they know their market. This selling power extends to junk food: until NBA star LeBron James quit McDonald’s recently, the Golden Arches teamed up with Coca Cola to pay him a hefty $42 million a year and Serena Williams endorses Oreos (of which the first ingredient is sugar). In fact, a study from obesity researchers at Yale, Stanford, Harvard and Duke found that 79% of 62 food products endorsed by athletes in 2010 were deemed junk food. Athlete endorsements do more than make a product look cool or attractive, they make it appear healthy. It gives someone with health-related reservations the thumbs up to have it: “If they drink it, it must be fine.” The effects of this deception are more pronounced for children who are easily swayed. “Pepsi targets teens, young teens, because soda preferences tend to be fixed by the time you get a little older,” explained Drolet Rossi, UCLA professor of marketing. However, these brands are not going to change without pressure. Why would they self-censor and avoid choosing the most effective endorsers for their products? Aside from the consumers, the only other people who can be held accountable for this relationship are the athletes themselves. And so, we reach the underlying question: should pro climbers take responsibility to endorse the right products? What do climbing superstars think? I wanted to find out what other top climbers thought about this. I do care about this stuff and, as my friends will tell you, I’m pretty stubborn. I’m not saying I’m beyond criticism (I certainly have my own large footprint, mostly when it comes to air travel) but was I the only one thinking about sugar? I really wanted to speak to athletes sponsored by the brands in question, however I knew this could be difficult. My gut feeling, from inside the circle of elite climbers in our community, is that many athletes sponsored by Red Bull don’t actually drink it themselves but they do support the brand for other reasons. Consequently, I recognised that many athletes wouldn’t be able to be truly honest with me as it would be a breach of contract. This transpired to be true with many big-name athletes ignoring my emails and for those that did respond it’s difficult to tell whether their responses were written by the athletes or their PR team. “Red Bull vitalises body and mind,” said top US climber Sasha DiGiulian. It’s hard to consider this a personal response given that it’s a trademarked phrase straight off Red Bull’s website. So... do energy drinks help you climb? Despite the wealth of research suggesting that there isn’t much need for processed sugar, there is evidence to suggest that these drinks can improve athletic performance: consuming energy drinks 10-60 minutes before exercise can improve mental focus, alertness, anaerobic performance. Personally I don’t know what’s wrong with a banana and cup of tea if you need a boost, but maybe I’m missing something. Will Gadd, known for his amazing alpine ascents, ice climbing and now paragliding gave me a very honest response expressing the merits of Red Bull: “They have given relatively obscure sports great venues and exposure and made it possible to follow some big dreams.” Will also deems the product to be healthy enough within “realistic use,” he explained: “I find the benefits genuinely useful. I buy it when I travel to beat jet lag, drink one before training hard, or after being at the crag for hours when I want to perk up and send something”. I respect Will Gad’s decision to endorse Red Bull if he truly believes that Red Bull is fine when used in moderation during exercise, but the problem is that the vast majority of energy drinks are not being drunk in this way and there’s no message from athletes suggesting that this is how they should be consumed. I would respect Will’s position even more if he used social media to talk about moderation when it comes to these drinks. Unfortunately, we never see this message. Children never see their role models talk of moderation; all they see is their sport’s idols emblazoned in labels, can in hand, smiling as sweetly as the drink they’re promoting. That aside, does the positive impact Red Bull is demonstrating potentially offset the negative impact of the drink? Top German climber Alex Megos talked to me about how good Red Bull is to their athletes: “I’ve never received better support from any other sponsor. They really care about the well-being of their athletes in hard times.” Our current IFSC Boulder World Cup Champion Shauna Coxsey is on the Red Bull team and she agrees: “Without Red Bull’s support, I wouldn’t have been able to have the scans, surgery and rehab I needed to come back stronger than before in time for this competition season. Personally, before being sponsored by Red Bull, I used it as an aid in competition and in training.” This seems to be the consensus: Red Bull is known to pay their athletes well, support them with health insurance and fund their injury rehab. Red Bull is a very intelligent company. On the surface they appear to be split in to two entities: Red Bull Media House (RBMH), which focuses on capturing and promoting action sports, and Red Bull, the beverage. You could argue that the athletes are mostly representative of RBMH, but they are also required to promote the drink. The company is worth $7.9 billion because they sell us a hugely marked-up energy drink, not because of what they do for extreme sports. And who is paying the price for this enterprise? The average consumer. Without them, Red Bull wouldn’t exist, and neither would RBMH or their support for athletes. Many would argue that it doesn’t make a difference. People will still buy fizzy drinks and other junk foods anyway, so the athletes may as well take the money and put it to good use. This lack of vision can be depressing and reality proves otherwise. I’m sure many people said that about tobacco – “they can ban it in public places, they can put all those ugly photos up, they can educate people more and nothing will happen, everyone will still smoke” – but we are smoking less now than ever before. We are starting to see the same lobbying starting against the sugar industry: Two thirds of people support a ban on sugary drinks in all UK schools and academies, suggests a poll carried out for the BBC. And 59% said warnings on packaging – similar to those on cigarettes – would encourage them to eat more healthily. The Government have listened with the introduction of a sugar tax in the 2017 budget aimed at trying to reduce obesity. A great example of positive community action can be found in snowboarding, where the Drink Water movement has successfully responded to the energy drink buyout. Instead of athletes donning Monster logos, we see a tap with free flowing water. They aren’t selling water, they’re selling an idea, and, so far, it’s been incredibly powerful. I managed to get hold of Austin Smith from Drink Water. He told me that their inspiration was born from frustration with the energy drinks changing the face of their sport: “They were taking an activity that is very simple, riding a piece of wood down frozen water, and adding a monster truck, adrenaline, extreme vibe to it. Drink Water is a simpler alternative to what was out there.” So far, Drink Water has raised over $100,000 for the charity water.org and has a huge social media following. However, I think the most powerful impact has been that of kids and adults who have emailed Austin to tell him that they have quit drinking energy drinks because of Drink Water. “Change happens so fast now, and there is so much transparency, what can start as a small change in a small community can quickly become a social norm like carrying a reusable water bottle,” explained Austin. How much should we care? We all create a footprint, and I know that for some people sugary drinks are not on their radar of things to care about. “We’re all hypocrites,” as Andy Kirkpatrick told me. I’m not saying you should start protesting in the streets, but simply engage more with the debate – at the very least, follow Drink Water on social media. The climbing community as a whole doesn’t have to settle for what’s currently acceptable. Like the snowboarding community, we can be ahead of the curve. Part of living the climbing dream is everyone telling you you’re wonderful. Pro climbers sell an ideal and a lifestyle, and social media reinforces how great we are every day. It’s easy for us to get lost in the idea that our influence is only positive, but what we don’t see so clearly is the negative chain. We often assume this is weaker than it is, but the chain of cause and effect, between athlete and consumer, is worth millions of dollars to companies like Red Bull or Coke who need to push their products. These brands know it, and the big money is proof that the chain is a lot stronger than we can all imagine. In fact, it only takes a small dose of cynicism to twist this image of an athlete into a pawn, exploited by corporate brands. So, as athletes, I believe we should pause and think about the power of our own voice and how we’re influencing consumption in an over-consuming world. Let’s look at our values, and consider them in our deals. Let’s try to use some inside pressure to persuade these brands to talk more about moderation, and use our channels to help educate consumers better. Why not aim to make healthy endorsements the new social norm? In some ways it’s a big ask, giving athletes the moral obligation to do more than just take the money, but maybe we deserve to pay this price since, like I said, we do have the best job in the world. BMC ambassador Hazel Findlay has climbed E9, 8c and freed El Capitan in Yosemite three times. She loves all types of climbing from bouldering to alpine climbing and is especially interested in the mental challenge. She’s sponsored by Black Diamond Equipment. Sterling Rope and La Sportiva shoes. Hazel donated her fee for this article to the Children’s Food Trust (www.childrensfoodtrust.org.uk). This article originally appeared in the summer 2017 issue of Summit, the BMC members magazine. Help us keep producing quality articles like this by joining us as a member. What’s the attraction of sponsoring a climber? We asked Ben Lampkin. Ben – a climber – has held sponsorship roles at Goodwood and London Marathon Events, and he’s currently Managing Director for Sir Elton John’s sports management business: Rocket Sports. Q. 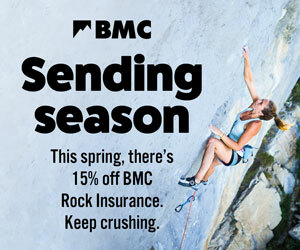 Have you noticed big brands getting more interested in climbing? A. Yes, there are some obvious cases such as Red Bull, Adidas and, now, Coca-Cola who are all ‘heavyweights’ in the sports sponsorship world. That being said, compared to other sports such as cycling or skiing there are still very few brands proactively investing in our sport. Q. Is this due to climbing in the Olympics? A. In my mind, the growth in commercial interest is due to a combination of many factors. Climbing in the Olympics has been a huge boost, and has captured the attention of these big brands. It’s also worth noting that indoor climbing has seen an upward trend in participation, up from 0.13% to 0.21% (according to Sport England). Also the role of social media which allows athletes to build their own fan base has made a large community of passionate people all around the globe much more accessible. Q. For a mainstream brand, what’s attractive about climbing? A. There are 2.1 million people climbing in the UK every month, which is remarkable. It puts climbing in the top 10 sports in terms of participation. That’s a huge audience of people who enjoy socialising, keeping fit and exploring. From a brand perspective, being able to connect with such a large section of society on a personal level is really quite unique. Q. How much do you think Coca Cola will be paying a climber such as Ashima? A. I genuinely have no insights, but I would love to know! The amount being paid will largely be down to Ashima’s agent who will be trying to strike the best commercial value for Ashima and ensure the principles of the partnership work for both parties. Q. What’s your take on athlete sponsorship by sugar drinks? Do athletes have a responsibility to their followers? A. A lot of what I do demonstrates to organisations the health benefits of sport, so I can see this potential dilemma. However, like most climbing fans, I follow a roster of climbers on social media. I love being able to get a glimpse into their lives, their training, their latest projects, their favourite climbs and, importantly, their personality. Sponsorship enables athletes to pursue their career as a professional climber and in turn, provide their followers with great content which ultimately inspires me to go outdoors and climb more. I’m healthier for being a climber, even if I drink Red Bull while driving to Font at 4am in the morning! Q. Do athletes have any influence with their sponsor? A. It depends on the athlete and the sponsor. Take Sasha DiGiulian for example, she has a collaborative partnership with Red Bull which allows her to take on new projects that she simply wouldn’t be able to do without their support. So, in that regard, Sasha won’t have influence on how her sponsorship is used. That being said, Sasha won’t have any say in product development, unlike the megastars like Tiger Woods, who in his heyday worked with Nike to create his own branded products that were sold all over the world. Q. How do you think the sponsorship landscape will develop in climbing in the next five years? A. I have no doubt that more sponsors, from a wider cross section of industries, will invest in climbing. Climbing is a global sport, with a huge fan base and millions of participants, so it’s attractive in that regard. Federations will need to ready themselves for this and create a diverse sponsorship proposition that will stand out in an already competitive marketplace. Q. Whilst we’ve got you… how could we get sponsorship for the GB Climbing Team? A. Ask any athlete; it’s not as simple as you think. It requires making a lot of phone calls, attending a lot of events but, most importantly, creating a marketing proposition that will provide brands with a way to play an authentic role in the sport. The days of simply putting up a few logos have gone. BMC ambassador Hazel has just become the second Brit to free climb (i.e. trad climb - using no aid techniques) the classic route, Salathé Wall, which takes the most natural line up El Cap in Yosemite. There are plenty of brands with products that SUPPORT health or at least neutral. If Ashima has an agent to sort this stuff, have him/her dig a little deeper. One of the best climbing related articles ever, thank you very much for writing it, lots of food for thoughts! Although I understand and agree with the processed sugar argument, I've personally seen many professional athletes down either a Red Bull, soda, or other energy drinks in isolation before competition and at crags. It may not be healthy, but some do actually use the products whether for legit performance or psychological routine. And, I'd much rather them be sponsored by soda and energy drink companies than a liquor company. There are far greater influences in children's diet preferences than advertising. Let Ashima's choices be her choices, you don't know why she chose the brand anyway... maybe she likes to celebrate with a Coke... that's freaking great. She never said she drank it everyday in over abundance. I'm a middle aged, fit and healthy male, a scientist and a climber and I love Red Bull. There is also nothing like an ice cold Coke after a long day in the sun - but whenever I consume these drinks I drink a lot of water before and after (I carry a 2 l water bottle with me almost all the time). I get my blood tested at a local clinic every year and I'm healthy as with a heart rate of 45 - 55 per minute at resting. If Red Bull wanted to sponsor me I'd totally go for it because I actually really enjoy the taste of their energy drinks and use it on long distance drives, especially at night. Nothing wrong with a sponsor like that. Really great article examining the many different aspects of the topic. Hadn't heard of 'Drink Water' before so interesting to hear that snowboarders are on the case too. It's great to hear about climbers taking a stance on this. Three cheers for Hazel, Alex Honnald, Adam Ondra and others who care and have values that go beyond just climbing.